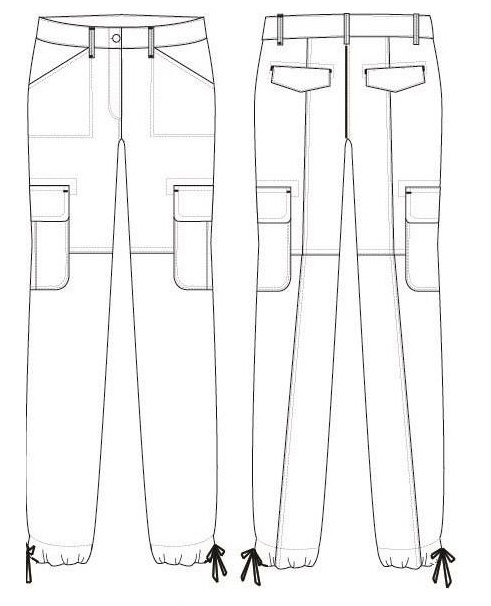 Home » Posts tagged "Operation Breakdown and SMV of a Cargo Crop Pant"
Adding cargo pocket in crop pant, we call it cargo crop pant, for better understanding please have a look at the picture given below. As per this, this breakdown to SMV is 30.74, manpower needed 95, given operation sequence wise breakdown to understand and set up sewing line layout of a Cargo crop pant. Crop pant is very fashion and popular in this era, everyone wears it as casual and semi-casual wear. In this article, you will have details of Operation Breakdown and SMV of a Cargo Crop Pant.